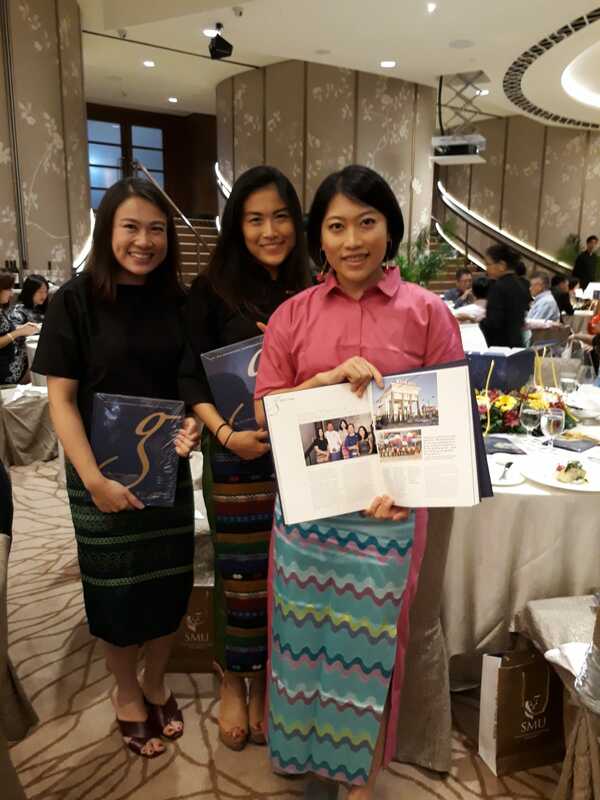 To celebrate the 5th anniversary of the Business Families Institute (BFI), the pioneer think tank addressing the needs of business families in the region, launched a widely-anticipated coffee table book featuring 34 business families in Singapore and beyond. 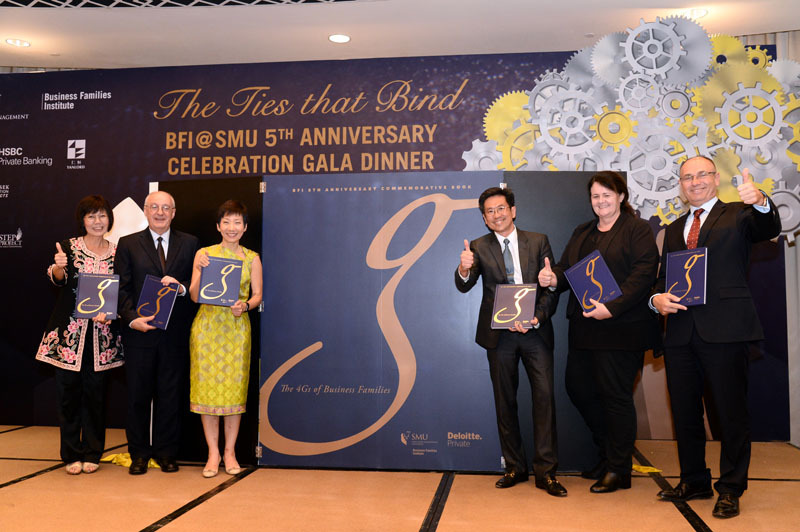 These 34 families are among many who have been supporting the work of BFI of Singapore Management University (SMU) from the onset. Called The 4Gs of Business Families, the publication of the book was supported by Deloitte Private. Leveraging on the 4G ethos espoused by Professor Annie Koh, the Academic Director of BFI, to think Generations, Growth, Giving and Global, the book describes the values, defining moments and aspirations of the families from the United States, China, Singapore, Myanmar and other parts of the region. It is illustrated by rare photographs of pivotal moments of family life of these storied families. 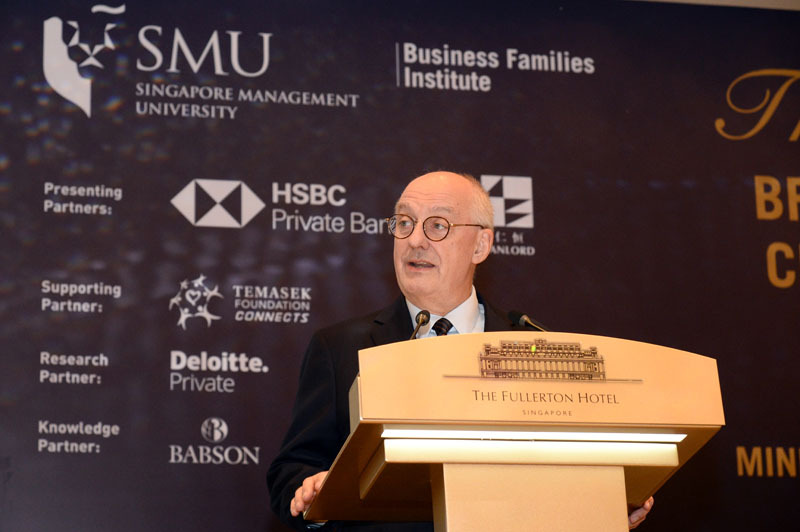 The President of SMU, Professor Arnoud De Meyer, said the book addressed a need for understand the specific challenges in succession, governance or development of family businesses in Asia. Professor Annie Koh said there is an immense wealth of knowledge that BFI would like to call on, to help all members. Calling it a culmination of the “voice” of the families, she thanked all the family members for making this book a reality. She said BFI is honoured to be the families’ knowledge partner, committed to creating an even stronger and impactful BFI together, to build more sustainable family businesses for the world. 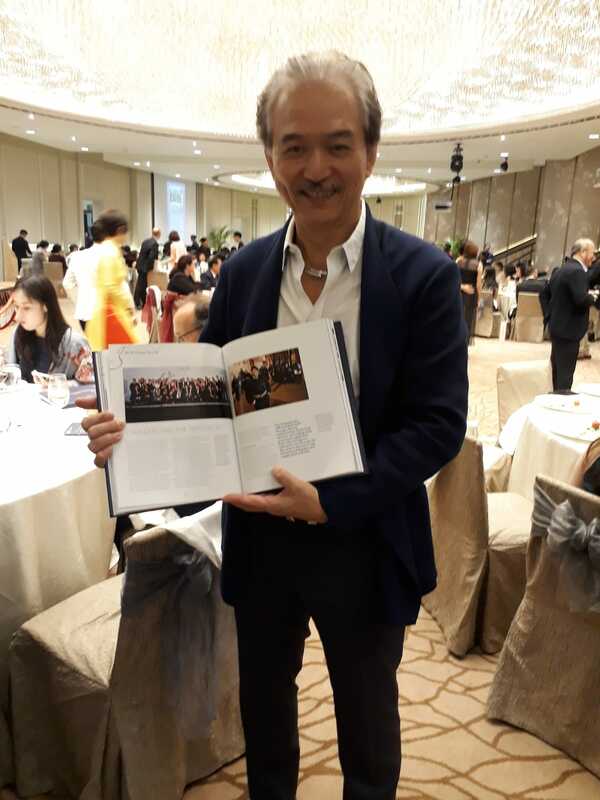 Dr Robert Yap, the second-generation leader of logistics firm YCH Group Pte Ltd, said it was a “beautiful” book. He had joined his father’s passenger transportation company as a fresh grad in 1977 and had to reinvent its business model to survive the loss of a key client then. “The book is better than I expected and it’s a good showcase of case studies of business families in Asia. All of us can all learn together from each other and journey together,” he said. The guest-of-honour was Ms Grace Fu, the Minister for Culture, Community and Youth. 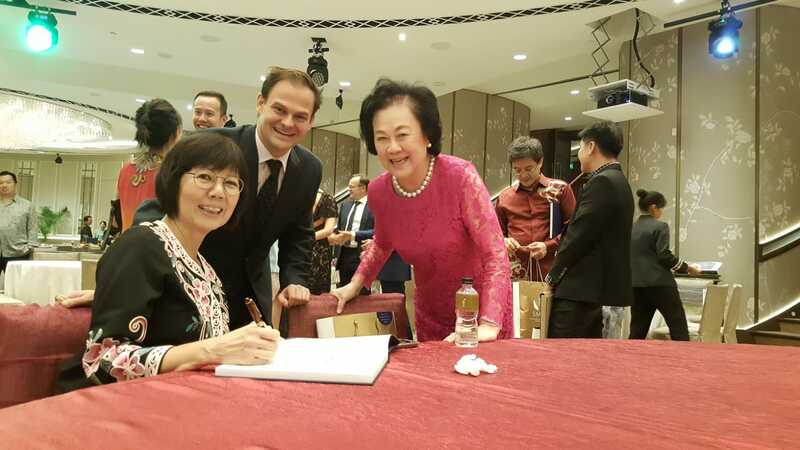 The Institute celebrated the joyous occasion with the establishment of the V3 Group Professorship in Family Entrepreneurship at SMU, made possible by a generous endowed gift of $3 million from the V3 Group, an Asian luxury group in the lifestyle and wellness markets founded by Ron Sim. The evening also featured an energetic fund-raising auction of artworks, vacations, jewellery and even a private tutored wine tasting donated by various families. It was followed by a short Business Family Conversation with Ron Sim, the Chairman of V3 Group, Alex Scott of Sandaire, N.K. Tong of Bukit Kiara Properties Sdn Bhd and Michelle Hartman of Deloitte Private. They discussed how their families unite over the shared dream and passion of the family business, and how it was necessary to keep ties strong with frequent and transparent communication. Last updated on 17 Dec 2018 . Like a love story straight out of a Korean drama, SMU alumnus Kenneth Tan (BSc Econs, 2009) and a...; 10 hours 38 min ago. Congratulations to the inaugural batch of professionals graduating with an Advanced Certificate i...; 16 hours 43 min ago.